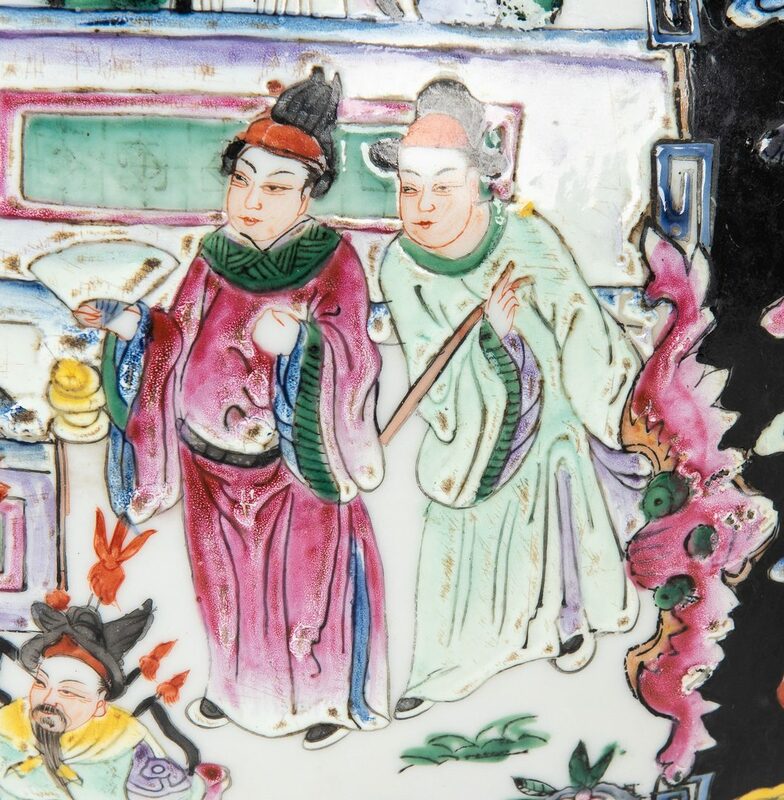 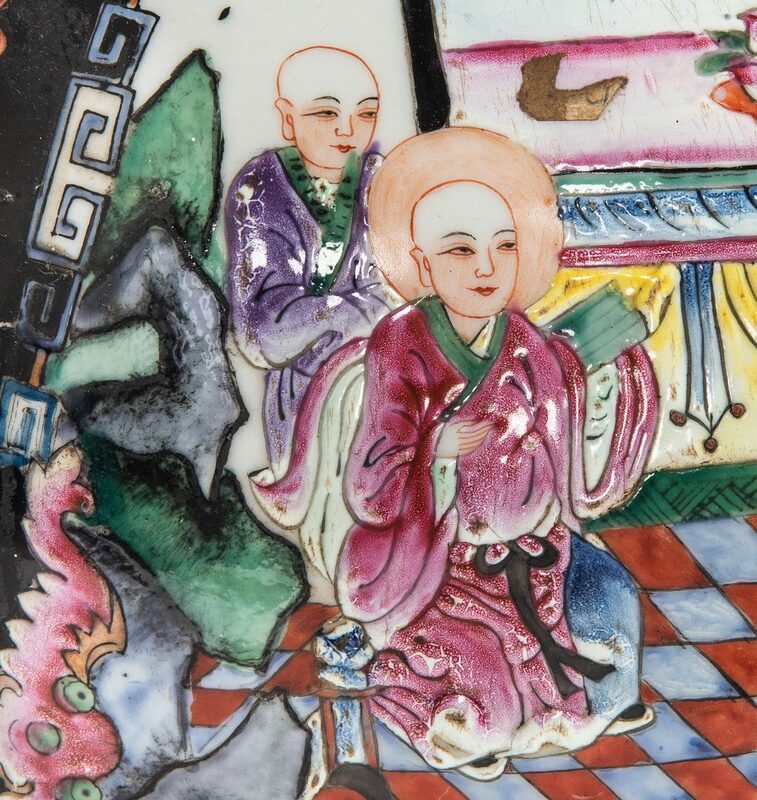 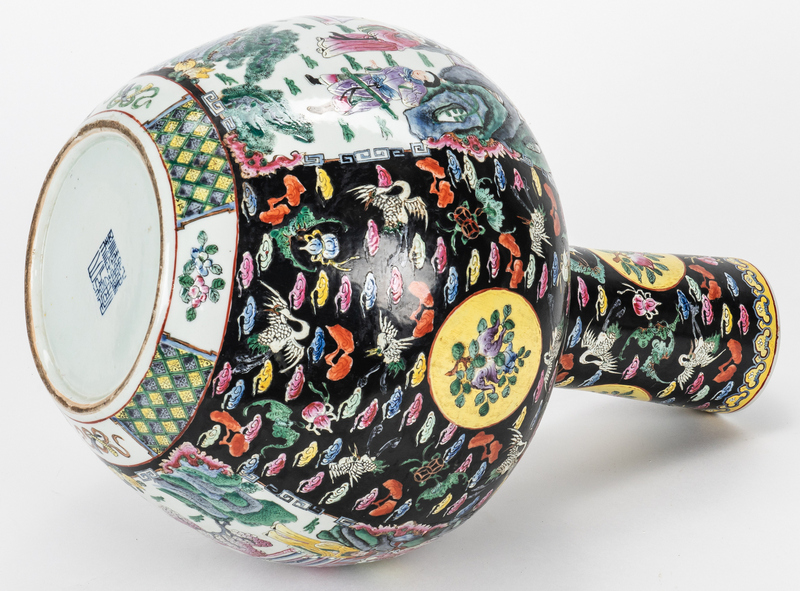 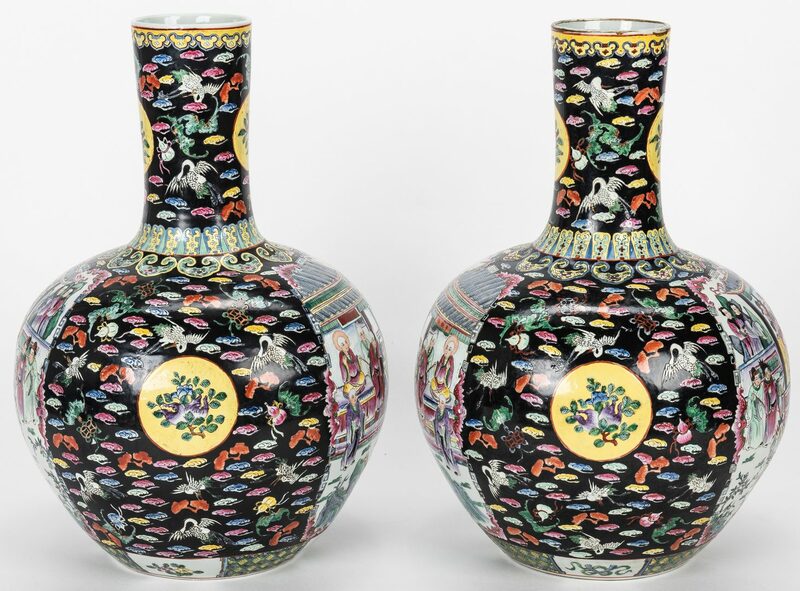 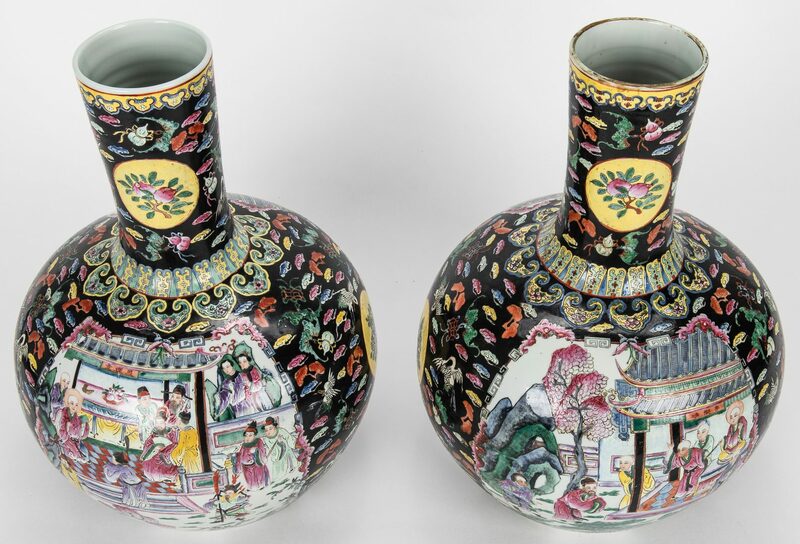 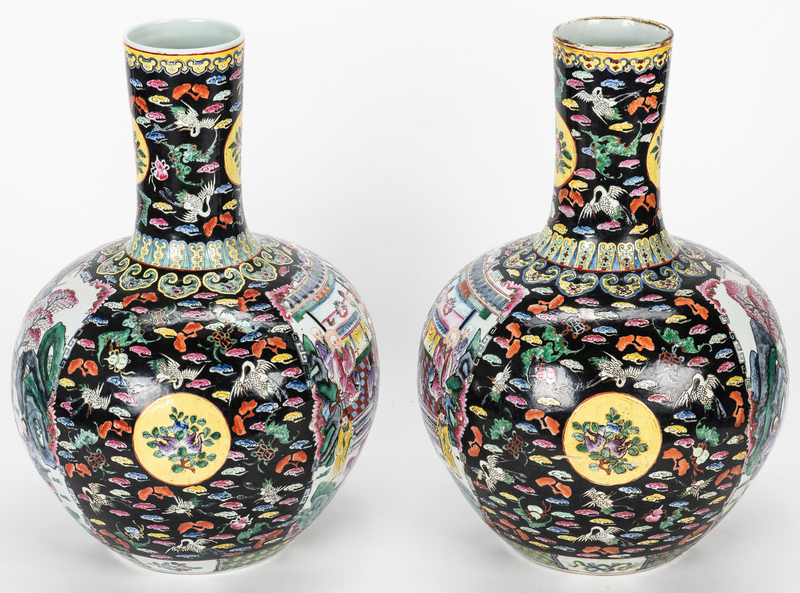 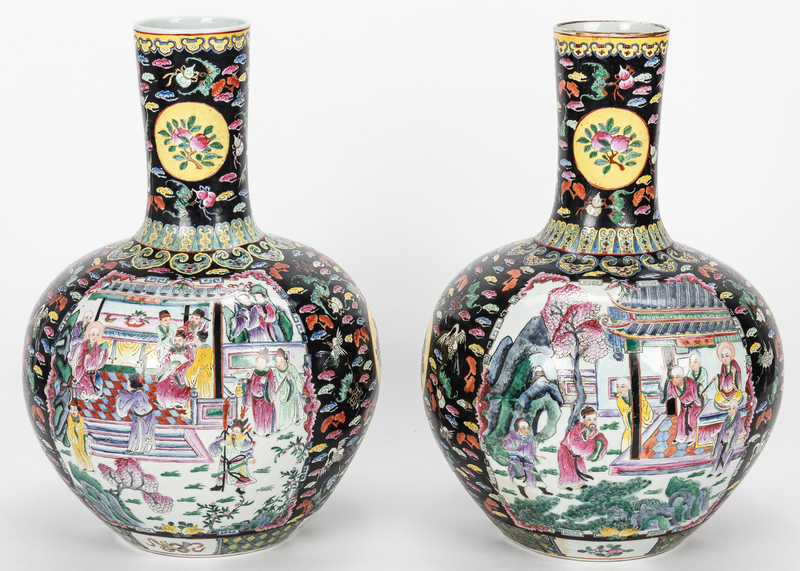 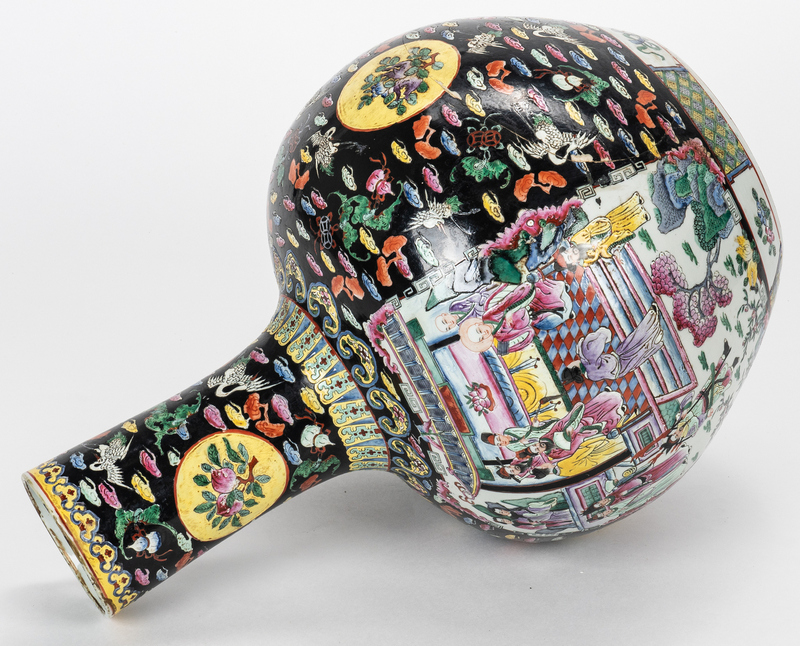 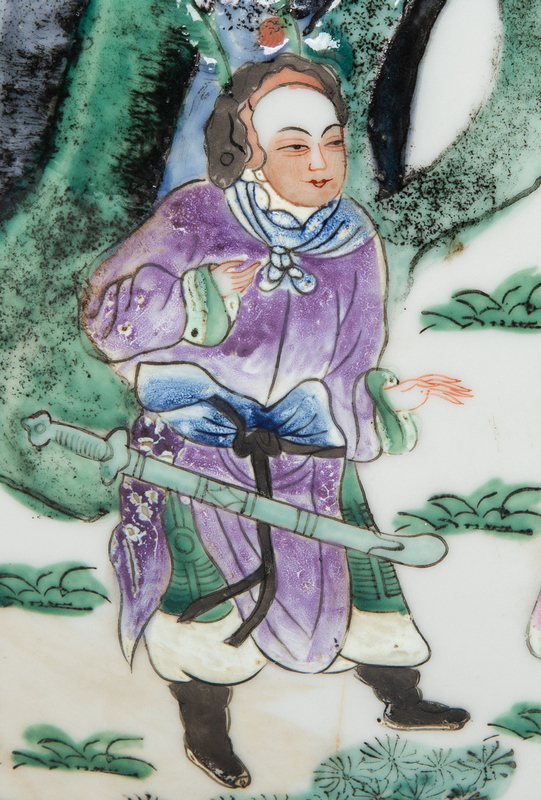 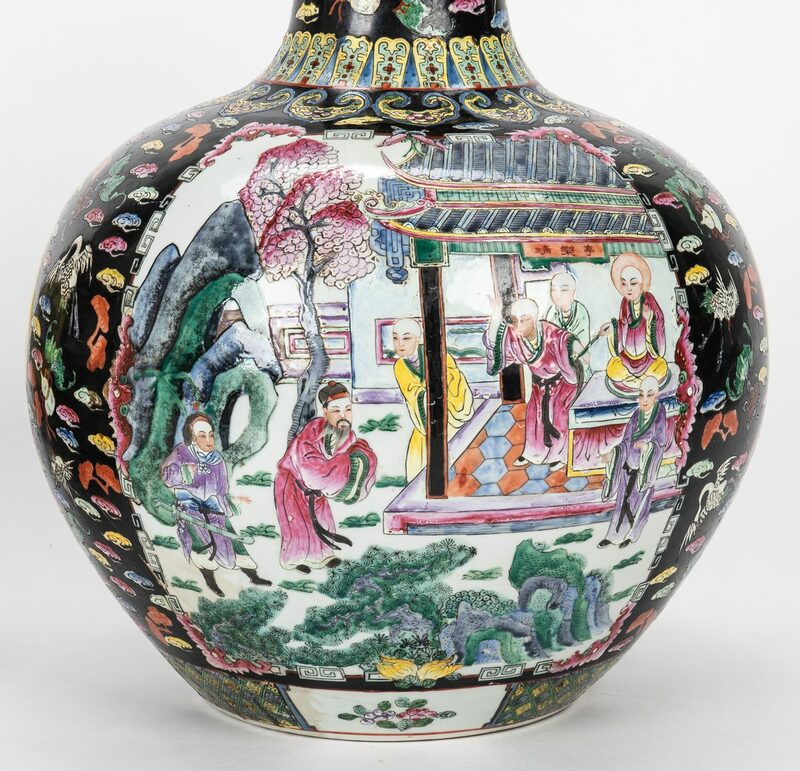 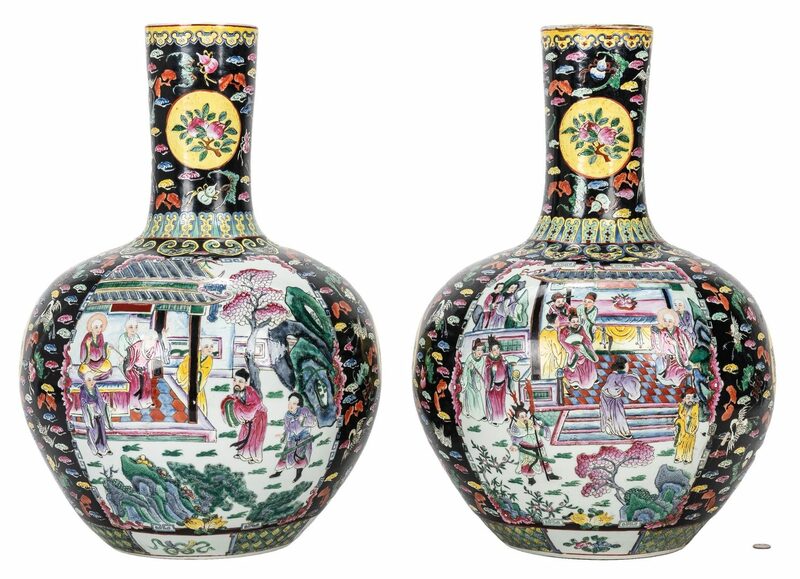 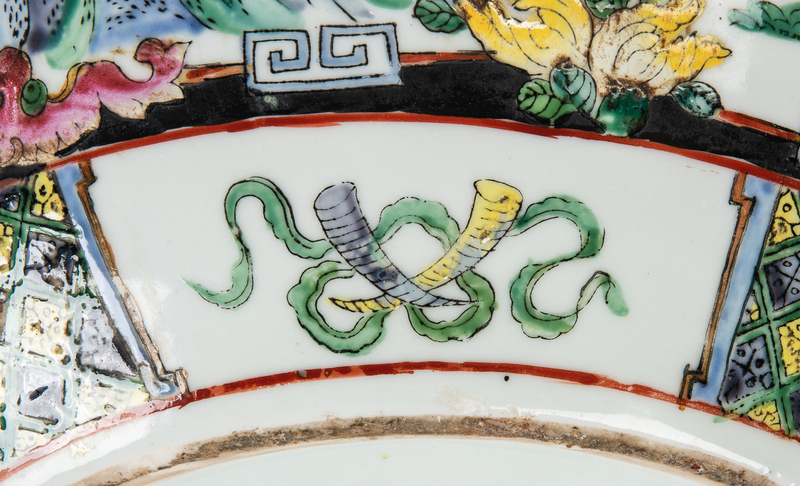 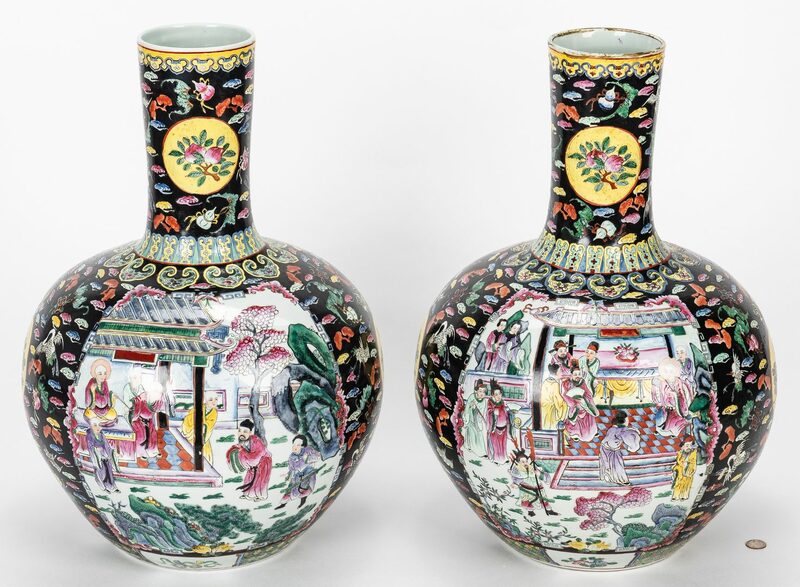 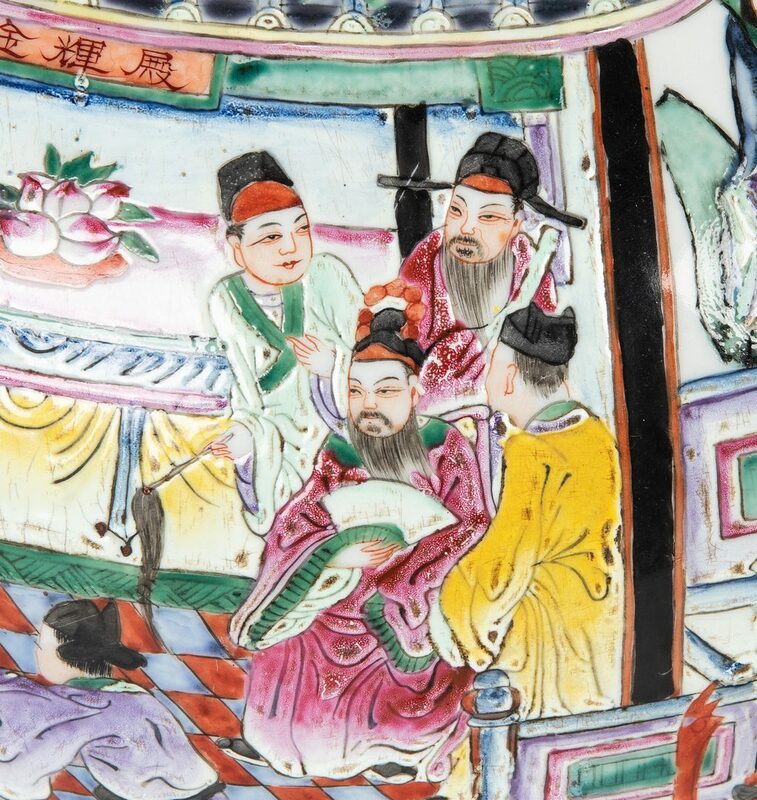 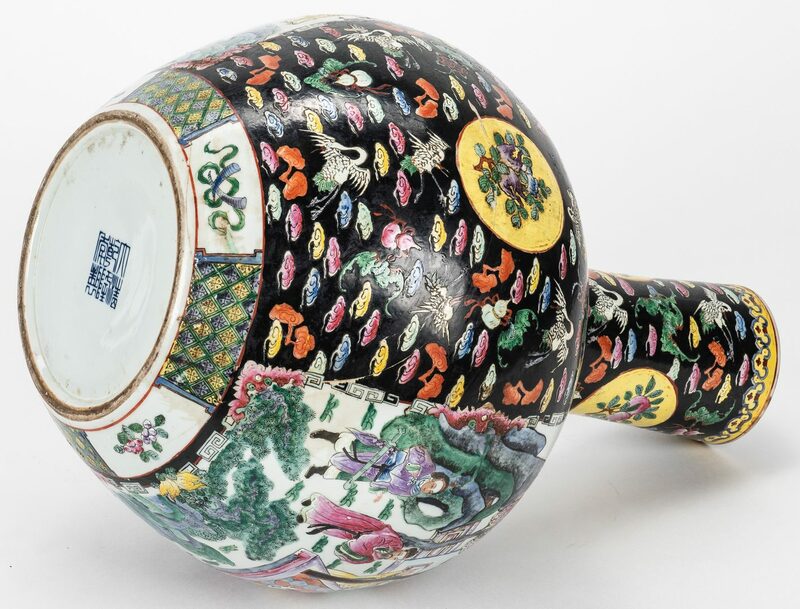 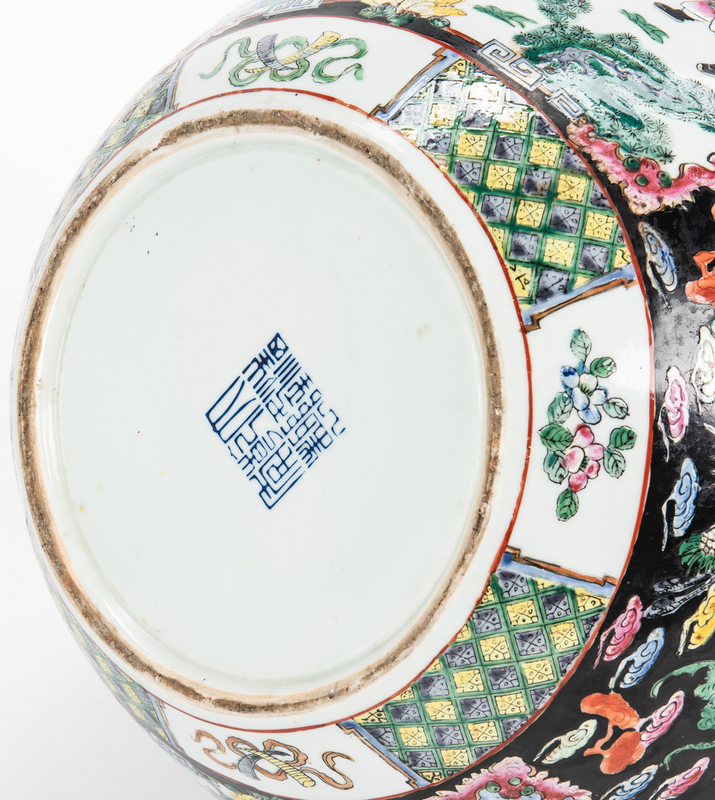 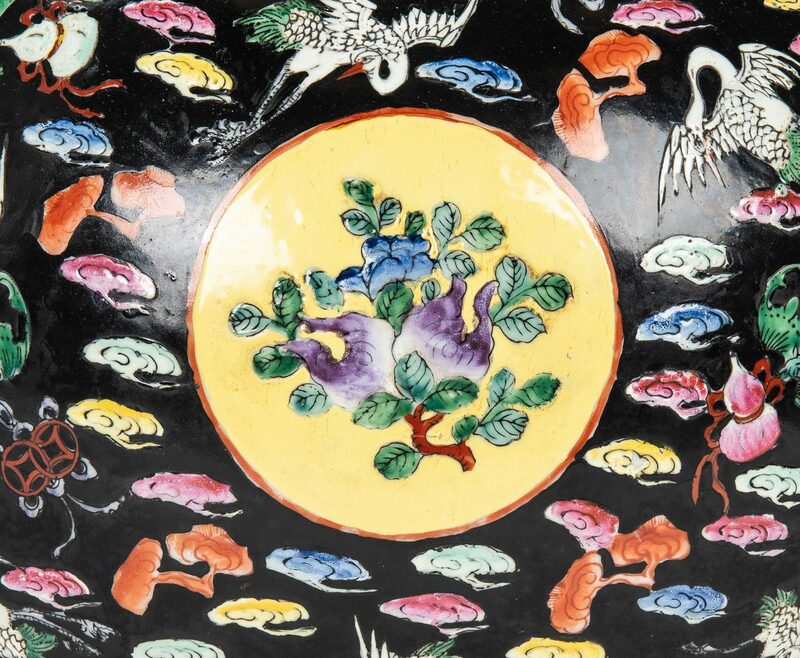 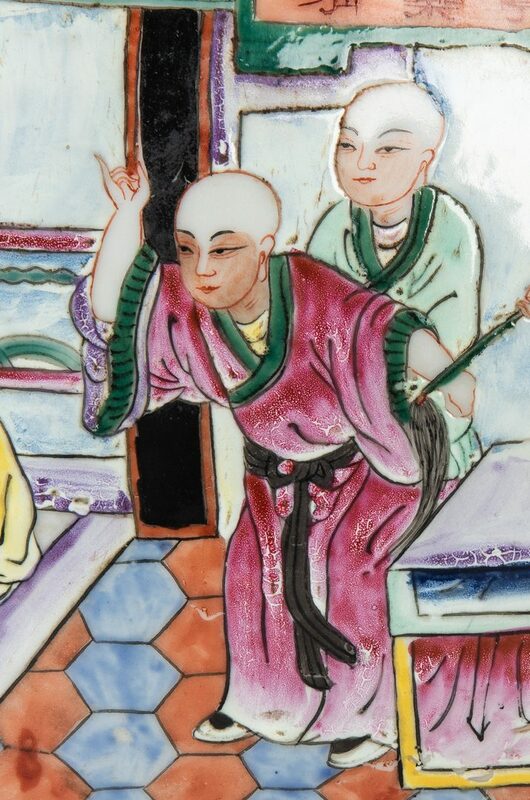 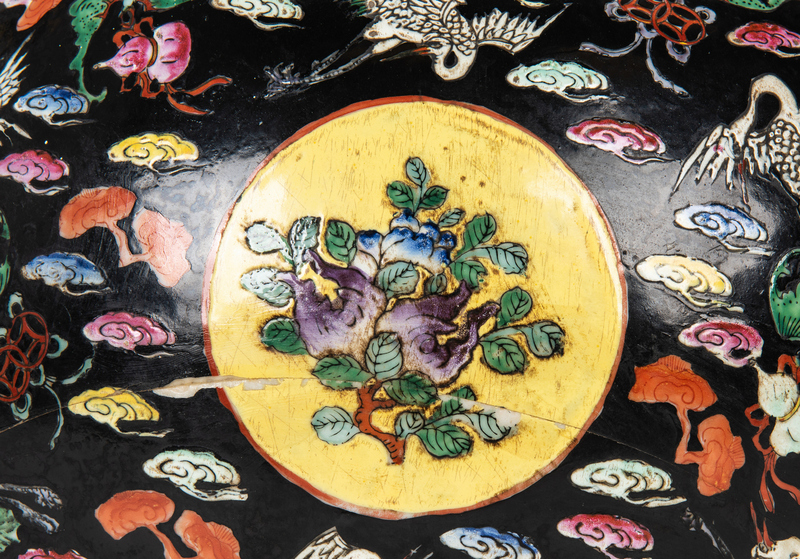 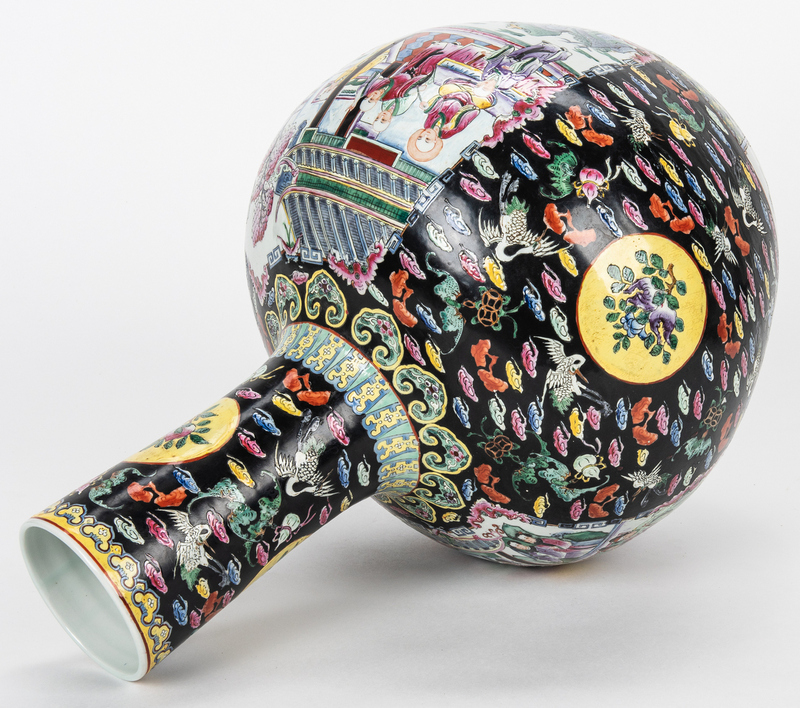 Pair of Chinese Famille Noire porcelain bottle form floor vases, each having reserves decorated with figures in court settings, interspersed with circular vignettes of fruit and peaches to the neck, all on a black ground with crane and precious object decoration. 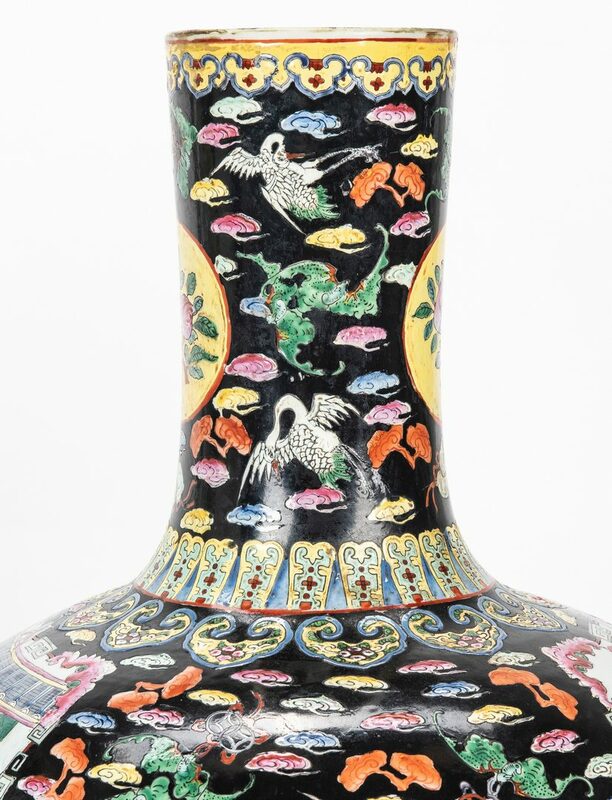 25 5/8" H. 20th century. 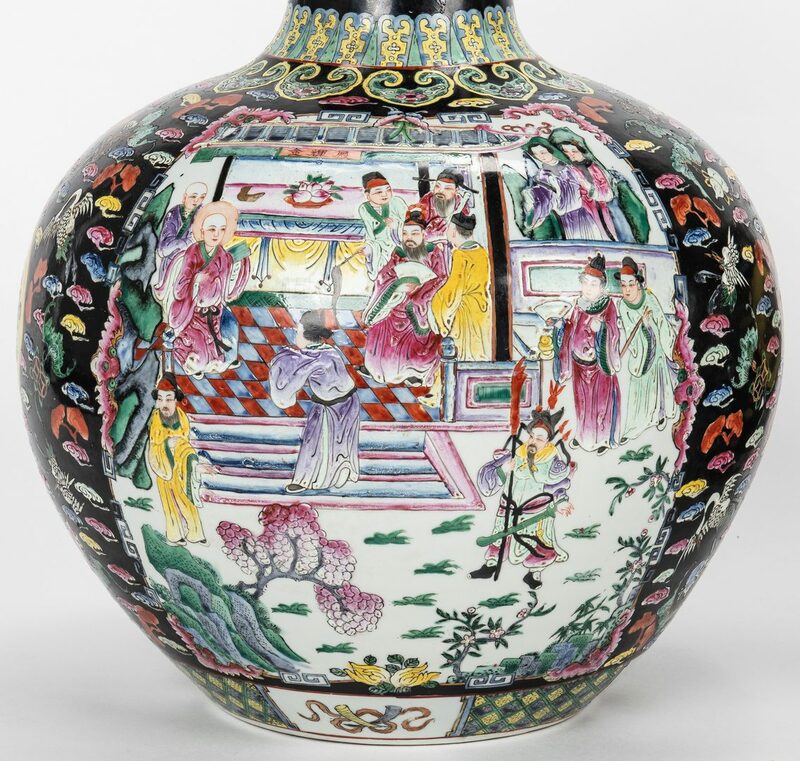 CONDITION: One crack and chip to mid-section to one vase.